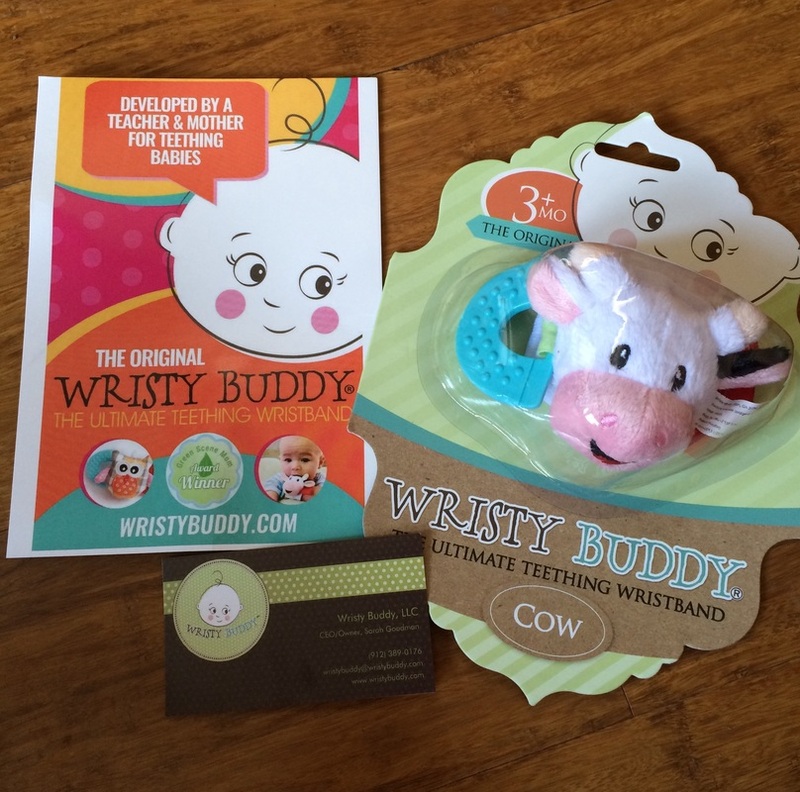 I received the Cow Wristy Buddy for free in exchange for my honest opinions and review on the quality and product. 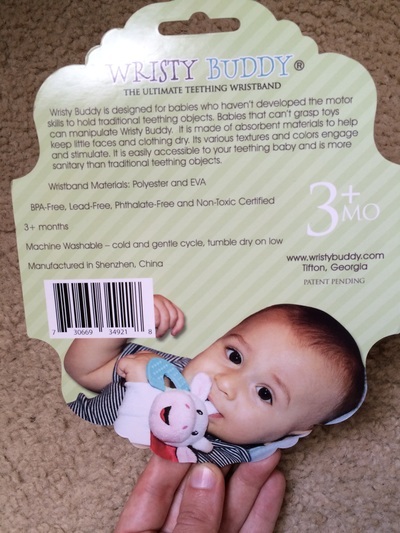 I really like the idea of having a teether that can be placed on the wrist of your teething baby. No more teethers falling on the dirty ground. No more "where did that teether go" thoughts. The Wristy Buddy has a very soft band that goes around your little ones wrist. The band is made with Polyester and EVA. The cow Wristy Buddy that I received has a little blue loop on the side of it that has a bumpy texture but its a rubbery feel to it so it feels good on baby gums when they chew on it. It feels durable. On the other side there is a little red piece that sticks out and is crinkly. It has a satin feel to the fabric. The cow head itself helps to absorb drool/slobber and keeps the baby's face dry. It's easy to clean and I'm happy that I can just throw it in the washer!! It is also a rattle and makes a little noise when you shake it. All things babies love. Wristy Buddy sells a few other designs in this band that you can choose from and they can be viewed HERE. I hope to see more options come out in the future because I think this will be a popular baby teether. 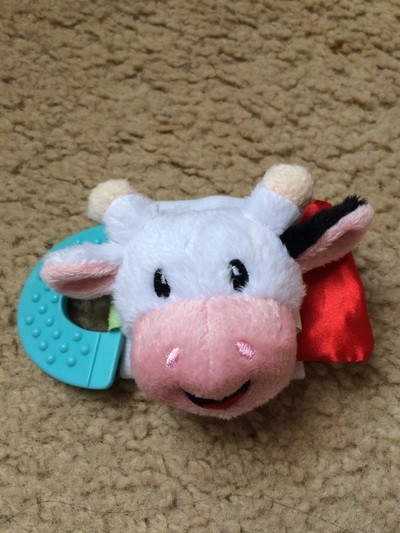 It's soft, cute, absorbs, and helps easy teething pain. This is wonderful for on the go and you don't want to bring multiple teethers with you and having to worry about cleaning them off. It's cute and attractive. It's soft and will keep the little one busy. I think it'd be a great idea to even have a back up one in the diaper bag for when it gets super slobbery or when one is in the wash.
You can also connect with them on: Facebook, Twitter, and Instagram! 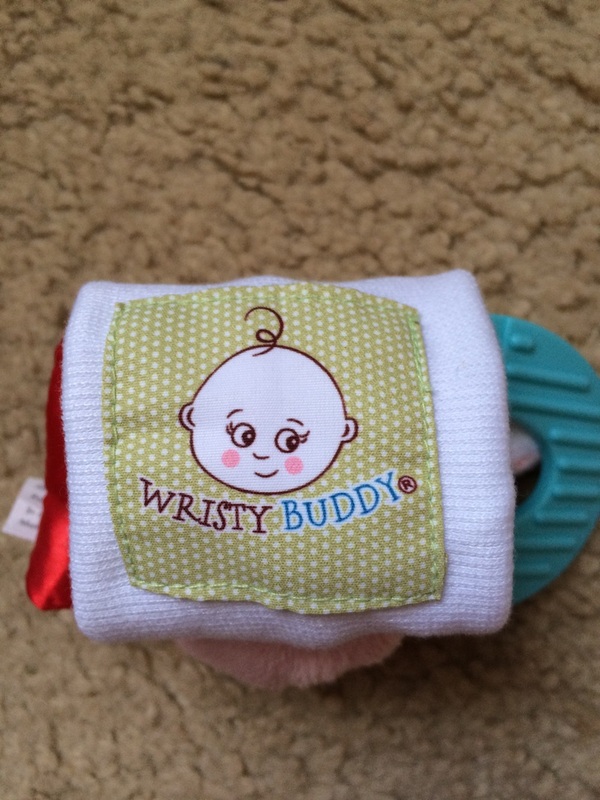 Comment Below: Which Wristy Buddy is your favorite?